Today’s photograph takes us just west of the highly visited intersection of Woodward and Nine Mile Road in the heart of downtown Ferndale. Times have definitely changed since 1928, but after going through a rough patch Ferndale has reinvented itself with new businesses along the two major roads. Nine Mile Road just west of Detroit’s main thoroughfare, Woodward Avenue. Ferndale became a boomtown in the 1920s when Henry Ford created the $5 workday wage. 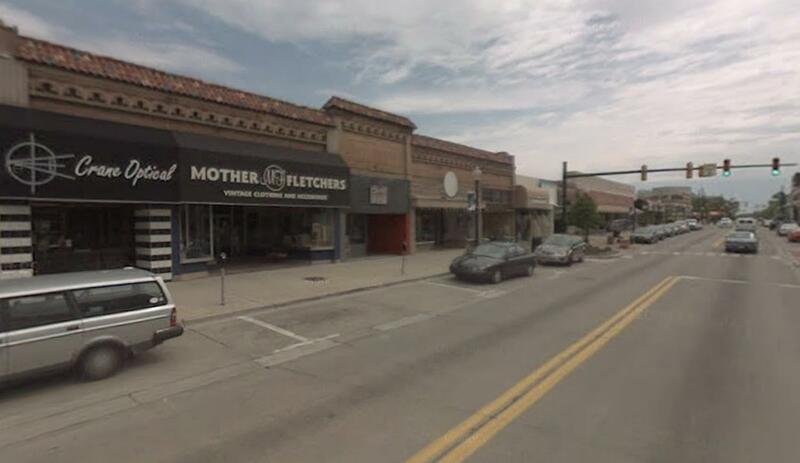 His factory was located a few miles south on Woodward in Highland Park. 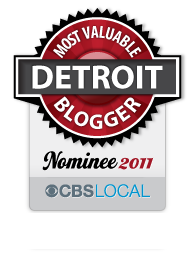 Ferndale was listed in “Ripley’s Believe It or Not” twice in the Roaring 20s. It had more children per capita than any other town of the same size; and it was the only place in the US that had a drugstore on all four corners at a main intersection. 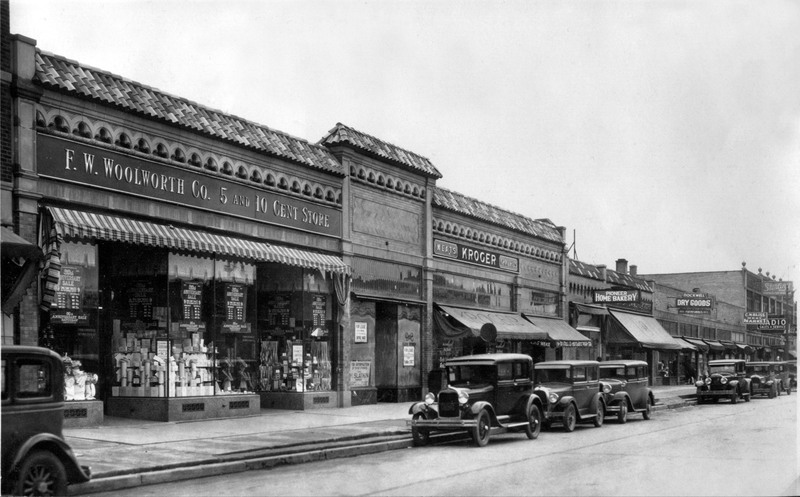 In the early 1930s, Ferndale went on to become the second largest growing city in the nation. This entry was posted in Detroit, Politics, Shorpy Saturday, Things To Do and tagged 1928, downtown, Ferndale, ford, highland park, kroger, nine mile, woodward, woolworth. Bookmark the permalink.